Studies across Europe show that thousands of fatal and near fatal accidents are still happening every year in our warehouses. Amongst other causes, visibility seems a major issue. 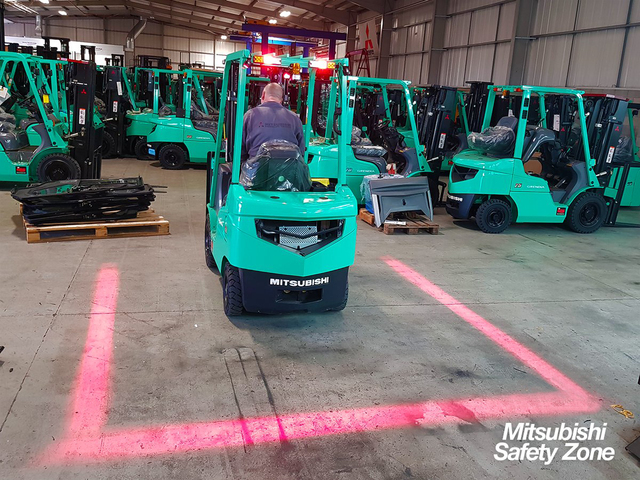 With more than half of forklift accidents seriously injuring workers on foot, it’s clear that more should be done to give pedestrians better warning when a truck is getting too close. When a workplace is busy or noisy, however, you can’t always rely on auditory cues to know where trucks are. If many forklifts are in action, or if there is a lot of background noise from machinery, it may be difficult for pedestrians to hear the truck that’s just about to come around a corner.